I just finished these two new quilts that I am now making into my newest pattern. Tentatively I am calling it Cardinal. How boring. Do any of you have a suggestion for a name for this pattern. 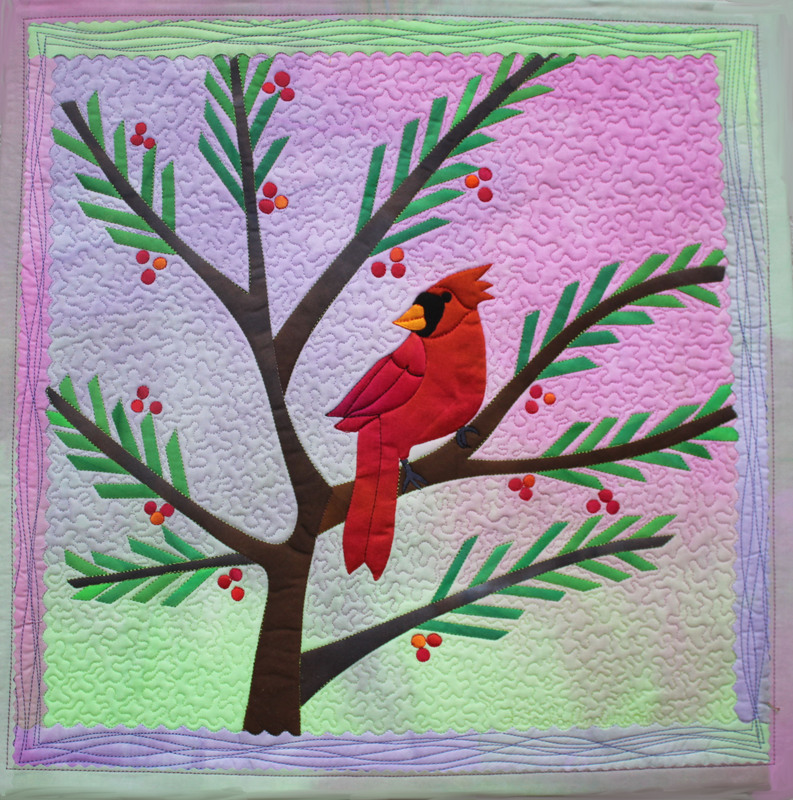 It will include both the Spring Cardinal and the Winter Cardinal in one pattern. I’ll send a quarter yard of hand dyed fabric to who ever sends a name that I like. Frieda, Please note new email address. 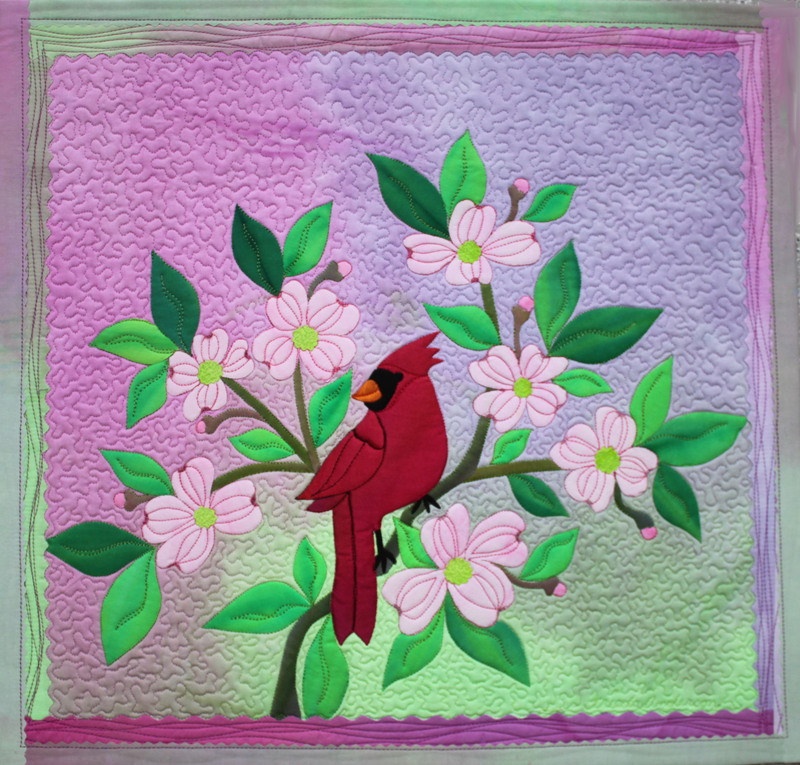 I might just have to put this pattern on my Houston Quilt Festival shopping list. Really love this pretty bird.and its settings. Freida – Have you thought about doing a female cardinal also? I always so them near each other. so cute. I call them Mr and Mrs Cardinal. Naming the pattern? Something like “mr. Cheerful”? They are so cheerful aren’t they. Thank you for your suggestion. Thank you Barbara those are great names, but I am looking for just one name as it will be one pattern. I think you should call the pattern “Pretty in Pink”. It will be the dominant color and the bird doesn’t care what color he is! He is a male bird and they can hardly dress themselves, especially if they have a wife! Thank is a great name thanks Susan.